Southeast Asia is a bio-cultural hotspot encompassing about 20% of global plant, animal and marine species. The region contains three mega diverse countries — Indonesia, Malaysia and the Philippines — where four of the world’s 25 biodiversity hotspots are located. Its montane ecosystems are particularly noted for their high diversity of ferns, mosses and orchids. However the region’s diverse biological resources are currently threatened by many climatic and human related factors. Even though the number of species that has actually become extinct from the region is small, the relatively recent widespread deforestation and the associated fragmentation of natural habitats is expected to accelerate biodiversity decline in the coming years. In 2010, as part of our research at the United Nations University Institute of Advanced Studies (UNU-IAS) and the Global Land Project in Hokkaido University, we conducted a review of the causes of biodiversity decline in Southeast Asia (download the report and references from the sidebar on the right of this page). We found that various processes associated with habitat destruction such as habitat conversion, degradation and fragmentation are linked to biodiversity decline in the region. In spite of the implementation of conservation and reforestation projects, the rates of deforestation and forest degradation are still high in the region. 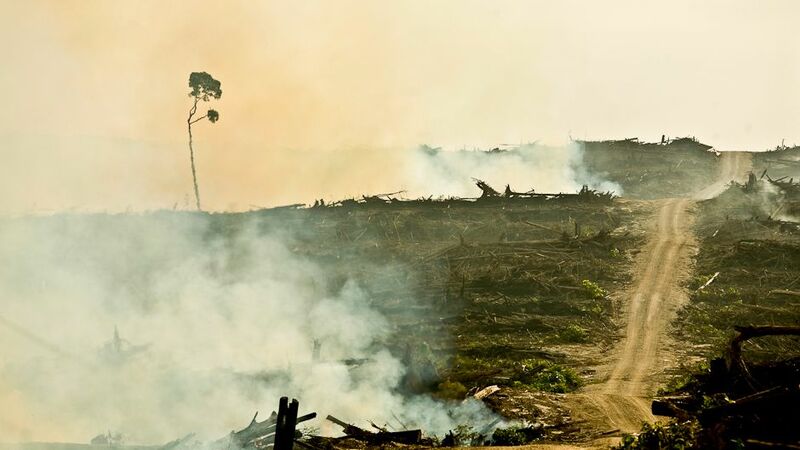 In the absence of appropriate intervening policies and incentives to tackle the direct causes and underlying drivers of deforestation, a quarter of Southeast Asia’s biodiversity may be wiped out by 2100. The relatively recent widespread deforestation and the associated fragmentation of natural habitats is expected to accelerate biodiversity decline in the coming years. In broad terms, habitat destruction processes are driven by a combination of proximate and underlying factors (see Figure 1). Proximate factors of biodiversity loss are those human activities that directly affect habitats such as agricultural expansion, biofuel production, wood extraction, infrastructure development and biomass burning. They operate mainly at the local scale. On the other hand, the underlying drivers include population growth, poverty, urbanization, policy failures, institutional failures and trade and globalization, as well as climate change and variability. In contrast to proximate factors, the underlying drivers of biodiversity decline can operate at scales ranging from the national to the global. The Intergovernmental Panel on Climate Change (IPCC) has reported that globally up to 30% of species are at increasing risk of extinction, whereas approximately 15%-40% of ecosystems are being affected by climate change. Climatic factors can affect biodiversity directly and indirectly. Direct effects are mostly related to temperature and precipitation changes that affect individual organisms, populations, species distribution and ecosystem compositions and functions. Climate change is projected to increase the risk of extinction for already vulnerable species with limited climatic ranges and restricted habitats. For example, climate change can potentially cause species to move to higher elevations in search of more suitable habitats. An analysis of the elevational distribution of birds in Southeast Asia between 1971 and 1999 observed an upward shift of the lower and upper boundaries for 94 common species in response to global warming. This upward shift occurred irrespective of the habitat specificity of the studied birds. This implies that climate change can act synergistically to human-driven habitat destruction in the region. In this respect climate change is projected to increase the risk of extinction for already vulnerable species with limited climatic ranges and restricted habitats. The indirect effects of climate change on biodiversity are a result of the alteration of the intensity and frequency of El Nino events most likely linked to global warming. The El Nino Southern Oscillation (ENSO) effect, a weather pattern characterized by warming of the eastern Pacific, leads to an increase in the likelihood of droughts and destructive fires. As such it has been identified as a key factor that combined with poor land management practices can increase the devastation of fires in Southeast Asia. Drought conditions triggered by ENSO across Southeast Asia markedly increase tree mortality and flammability. For example the 1997-1998 ENSO effect contributed to particularly devastating fires in Indonesia, destroying vast area of peatlands and forests. In addition to the loss of habitat, it is estimated that 1,000 orangutans in Indonesia (2.5% of the population) died from these fire events. The most important human-related activities responsible for biodiversity decline in the region include agricultural expansion, urbanization and trade in endangered species. Agriculture still accounts for a large portion of the Gross Domestic Product (GDP) for most countries in the region. More importantly, agricultural production has increased significantly throughout the region since the 1960s with most countries more than doubling their cultivated area (see Figure 2). This agricultural expansion happened mainly at the expense of natural ecosystems, particularly primary forests. Even though agricultural expansion might be expected in a region that faces some of the highest incidences of malnutrition globally, it is interesting to note that it happened simultaneously with an increase in the trade of agricultural commodities. An interesting example is the case of palm oil production in Indonesia and Malaysia which has increased significantly since the 1960s with currently the two countries capturing more than 90% of the global market. This expansion is associated with severe adverse environmental impacts as oil palm plantations have, to a large degree, replaced primary and secondary tropical forests in the region. Studies have shown that 55-59% of oil palm expansion in Malaysia and at least 56% in Indonesia occurred at the expense of primary forests. Between 1990 and 2005, 1 million hectares of forest were lost in Malaysia and between 1.7 and 3 million hectares of forest were lost in Indonesia due to oil palm expansion. It is feared that further oil palm expansion in the two countries spurred by the increasing demand for palm oil biodiesel nationally and internationally will cause further deforestation. Compared to primary forests, oil palm plantations host fewer species of birds and butterflies, provide structurally less complex habitats, have a shorter lifetime and can cause significant fragmentation of the landscape. In most cases, the majority of forest species that was lost after conversion to oil palm was replaced by a smaller number of non-forest species of low conservation value. Trade in endangered species is another major underlying human-related cause of biodiversity loss in the region. The Convention on International Trade in Endangered Species of Wild Fauna and Flora (CITES) indicates that a large number of endemic species found in Southeast Asia are threatened with extinction due to illegal trading. Wildlife trade is conducted both through formal and informal networks and has become a booming business in the region. Illegal trading in wild species has led to a decline in their natural habitats and substantial loss of commercially valuable biodiversity in the region. Biodiversity decline in the region is a very complicated phenomenon to needs to be tackled through a mix of policies and incentives. In the recent past, the proximate causes of biodiversity loss such as logging and biofuel expansion have received the most attention. Considering that most drivers affecting biodiversity loss act synergistically, conservation actions that consider or address only proximate causes or single drivers of biodiversity loss are unlikely to be fully effective. As a result, multi-level policy responses and concerted efforts from multiple stakeholders are needed in Southeast Asia. Some of the policy responses for halting biodiversity decline in the region that we discussed in our paper are summarised below. Monitoring and regulation — The World Bank and TRAFFIC, the wildlife trade monitoring network have identified key areas and have listed several interventions to minimize the illegal trade of endangered species and, as an extension, the risk it poses to biodiversity in Southeast Asia. These range from improving trade monitoring mechanisms, to the inclusion of wildlife trade concerns in infrastructure planning, targeting interventions towards powerful groups in the trade chain and building multi-agency and cross jurisdictional law enforcement capacity. Sustainable land use and production practices — Mitigating the negative environmental and socioeconomic impacts of palm oil production requires a combination of policy instruments and good practice. These may include shifting production of oil palm crops to degraded/abandoned agricultural land, the adoption of improved and ecosystem friendly management practices, the development of certification schemes with the involvement of multiple stakeholders (e.g., the Roundtable on Sustainable Palm Oil, RSPO) and the creation of appropriate financial incentives to ensure sustainable palm oil production. Research and education — Addressing the impacts of climate change in Southeast Asia requires a combination of mitigation and adaptation responses, which will require strong links between scientists and natural resource managers. However, there is still a paucity of scientific information regarding the adaptive capacity of specific ecosystems in the region. Given the value of ecosystems and agricultural systems in the region it is important that policy-makers and scientist accelerate both national and regional efforts to understand and to adapt to the drivers of biodiversity loss. Collaborative research and the development of policy responses jointly between scientists, planners, policy makers and the private sector, as well as strengthening the research links between climate change, biodiversity, land use planning and socio-economic development is important. Universities in Asia can increasingly share their experiences in an effort to strengthen the role of higher education in transferring and applying new knowledge in the region for the benefit of local and international communities. Unraveling the Drivers of Southeast Asia’s Biodiversity Loss by Alexandros Gasparatos is licensed under a Creative Commons Attribution-NonCommercial-ShareAlike 3.0 Unported License. Alexandros Gasparatos is a James Martin Fellow at the Biodiversity Institute (Oxford University). Before that he conducted research at the UNU Institute of Advanced Studies (UNU-IAS) and the University of Dundee. His background is in chemistry, environmental science and ecological economics. His research interests lie at the intersection of energy security, food security, ecosystem services and environmental sustainability. Wendy S. Elliott is interested in gender, compassion, and cultural and spiritual values in biodiversity conservation. She is from St. Kitts and Nevis and having studied Zoology, Chemistry and Natural Resource Management at the University of the West Indies she worked in local environmental planning and then with the UNU-IAS Biodiplomacy Initiative. She is currently studying Theology at the University of Wales Trinity Saint David. Dr. Ademola Braimoh has expertise in soil management, human-environment relationships, land-use modeling and vulnerability of ecosystem services to global change. Dr. Braimoh studied at the Center for Development Research, University of Bonn in Germany, and at Cambridge University in England. He formerly worked on the Global Water System Project, was a Postdoctoral Fellow of the Ecosystems and People Program at United Nations University, a Professor of Land Change Science at the Center for Sustainability Science and as Executive Director of the Global Land Project in Japan. At the World Bank, Dr. Braimoh currently works at the Science-Policy interface of Climate-Smart Agriculture, helping clients to realize increased productivity, enhanced resilience, reduced greenhouse gas emissions and improved carbon sequestration in agricultural landscapes. What an excellent commentary on the causes of biodiversity loss. Wouldn’t it be nice if the potential solutions to biodiversity loss were focused on reversing these drivers, which may involve hard work, advocacy, bad feelings (because we recognize power relations and conflict of interest are inherent in land and resource management), instead of some engineered utopian techno happy lala land that some research institutes try to pass off as a realistic solution.